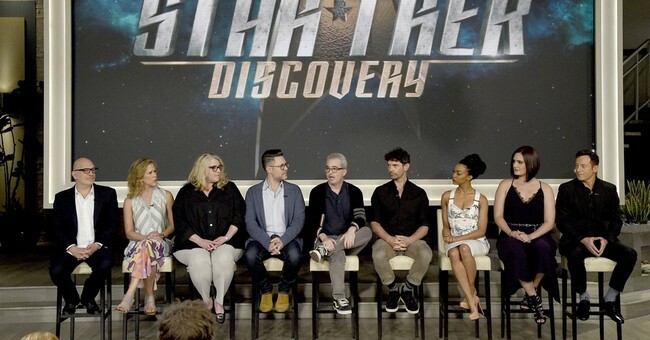 Actress Sonequa Martin-Green, who plays one of the show’s main characters, posted a picture of her and her fellow cast members taking a knee in solidarity with the NFL anthem protestors to Instagram shorty after “Star Trek: Discovery” premiered. It went viral within hours. While some social media users praised the cast for the “powerful and compassionate gesture,” most criticized them for getting political and alienating half their audience. “I'm taking a STAND against your show. I will be boycotting it with many other patriotic Americans. Your empty gesture is meaningless and will cost you viewers,” said another. Many others claimed they are no longer fans of the actors, the show, or the franchise. “Life long Star Trek fan no more,” declared one user. Sounds like “Star Trek: Discovery” is going to have a rough first (and maybe only) season.